Lucia is in charge of all of our Account Management and general strategic planning tasks. One of the consultancy original co-founders, she also consults for life-science based projects. 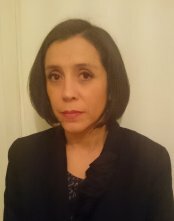 Lucia holds a PhD in Biomedical Science and has worked for more than a decade as a cell and molecular biologist at UNAM, the largest academic establishment of Mexico. George is in charge of all technical operations. He coordinates a team of agile developers and ensures that our solutions are delivered on time and our infrastructure ticks like a Swiss clock. For the last 15 years he has worked/consulted for different companies ranging from small high-tech startups and Universities to large enterprises (BT, IBM, Oracle). George earned a PhD at the University of Plymouth's School of Computing and Mathematics in the area of Information Security. He is affiliated with the Center for Security Communications and Networks Research of the University of Plymouth, UK. Claudio is looking after all of our accounting issues and is our interface to our Legal Team, advising our customers about cost and legal issues. Claudio is originally an Mechanical Engineer (University of Edinburgh, UK) who followed the career of a Chartered Accountant. 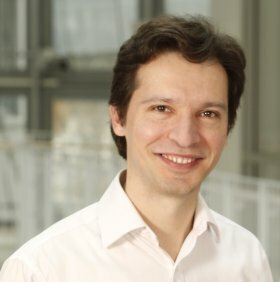 He has consulted as a project and budget manager for large corporations (IBM, the Fiat Group, Airbus) and joined Steelcyber Scientific in November 2013. When he does not work, he can be found in the cockpit of a small plane/ultra light. 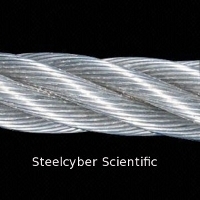 Spiros is responsible for managing key large corporate customers of Steelcyber. He maintains a key interest in areas that concern personal communications security. His background also includes military service experience in the Hellenic Army Special Forces unit. Chris looks after all key features of the LUARM audit log services. Prior joining Steelcyber Scientific, he held software engineering positions at Nokia UK and AgustaWestland Helicopters (UK). He programs in C/C++ and is a very strong Python advocate. When he is not making code he enjoys rock climbing and riding his Ariel 1934 Square Four motorbike. Jon is a computer science student at the Chalmers University of Technology, Sweden. He joined us part-time in order to gain experience and develop his information security skills. He excels in Java and Perl programming languages, he is a Linux and Free-BSD advocate. If you are looking to develop your DevOps skills, you possess good coding skills in any programming language and speak two or more foreign languages, we would like to hear from you. Send a CV to info@mail.steelcyber.com and tell us what makes your day and what you want to achieve professionally.